Lorn is a first-person fantasy-horror game developed by TeamKill Studio. Your own beloved King has destroyed the world in his ravenous lust for immortality. As humanity gasps for its final breaths, you have to travel amongst the abandoned remnants of a civilization and save Lunaris from eradication. The once beautiful world of Lunaris has been laid to waste by an ancient plague brought down from the heavens by the hand of your own king, Gulbrand. With the help of a mysterious artifact known as the Resyme Catalyst, Gulbrand sacrificed his entire kingdom of Onryx Isle to the forsaken world of Lorn to achieve immortality. You are alone, there is no one to help you. It is up to you to figure things out and finding anything alive is the last thing you want to do. You must fight back against the horrors that seek to kill you. If you get stuck in the game, check out the video walkthrough and gameplay for the game. 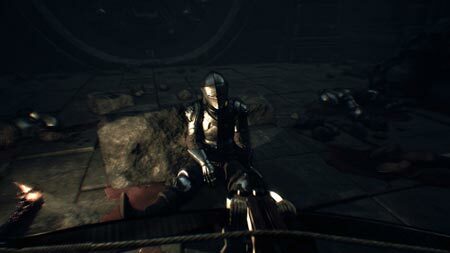 This entry was posted in PC Games, Walkthrough and tagged Lorn Cheats, Lorn Game, Lorn Gameplay, Lorn Guide, Lorn Hints, Lorn Review, Lorn Solutions, Lorn Strategy, Lorn Tips, Lorn Walkthrough by Marvin. Bookmark the permalink.